Prouna is a line of luxury fine bone china, beautiful and exquisite enough to be displayed in a museum, but functional enough for your table. 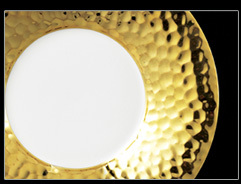 At Prouna, they strive to design the most luxurious and innovative tableware in the industry. Their pride themselves on their ability to create functional luxury. 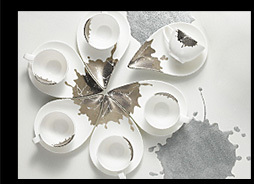 Their lavish assortment of products includes table settings, coffee sets, tea sets, frames, vases, clocks, home decor and giftware. 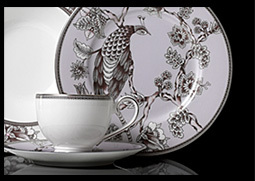 Prouna is one of the finest collections of chinaware ever known. 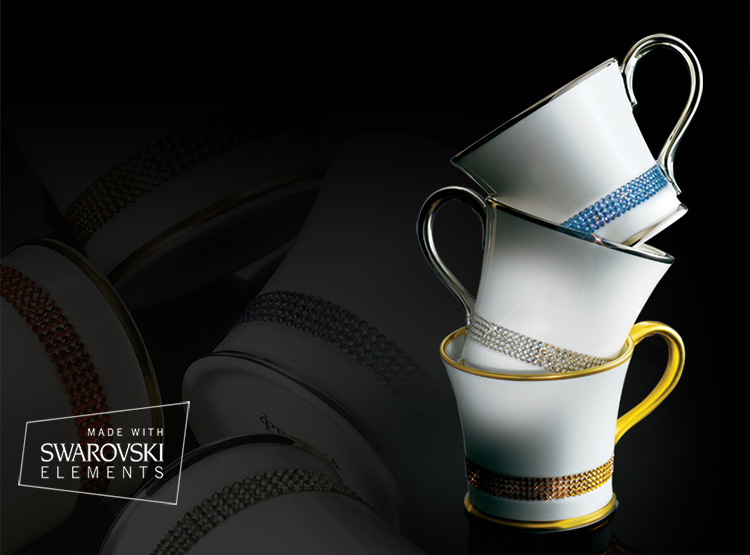 It is the first in the industry to develop the technology for inlaying Swarovski crystals on dishwasher-durable collections, using an adhesive originally created by aerospace scientists to withstand a space mission. 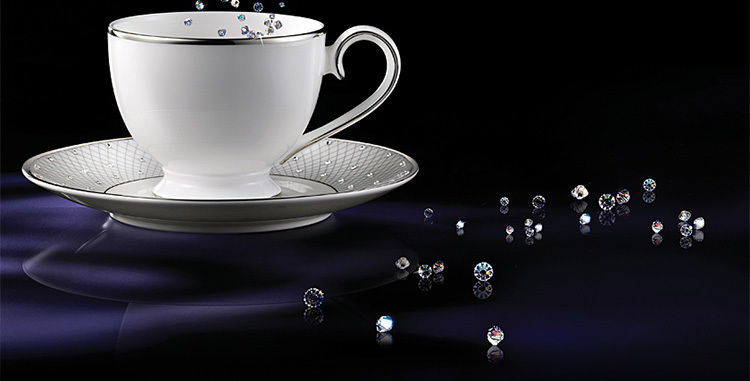 All Prouna products are made with finest English bone china, with over 50% bone ash, which makes them the strongest bone china available. Most Prouna pieces are hand painted with 24K Gold or Platinum around their rims. We searched the world for the right blend of skills needed to bring together function and form in such a unique way. We chose only the highest quality raw materials, state of the art technologies, and the highest manufacturing standards to create Prouna. 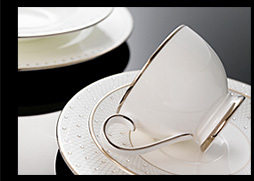 All Prouna chinaware is made with finest English Bone China. 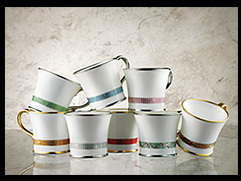 All Prouna Jewelry and Prouna Classic collections are hand painted with 24kt gold or platinum around their rims. 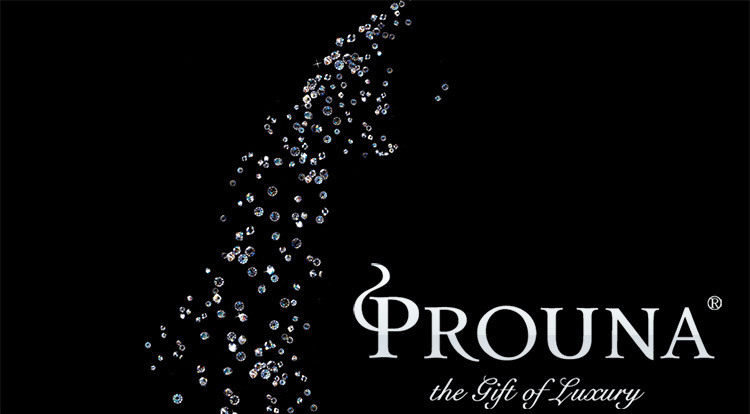 All Prouna Jewelry collections are embedded with authentic Crystallized™ Swarovski elements.